It’s that time again to look at the best-selling CPUs of 2017 for business customers at Newegg. This year’s sales activity is indicative of the desktop processor market at large. It’s great to watch AMD and Intel charging ahead with renewed energy after relative stagnation. The only two names in x86 computing are duking it out once again, which is great news for consumers of all stripes: gamers, enthusiasts, and technicians alike are building with better choices now than in years past. In the business sector, builds gravitate towards high-end workstations. Usually these are computers designed for video editing, engineering and design applications, and database work for scientific modeling. Near the top of the list are this year’s new line heavy duty multi-threaded CPUs with 12 or more processor cores. Sales performance favors AMD Ryzen Threadripper; but note that in the back half of 2017 we’re watching interest in Intel Skylake X CPUs pick up. Who makes a better workstation CPU? Intel or AMD? Consensus holds that, for parallel processing, the seventh generation Intel Core i7 line smokes its predecessors. Word from the bench maintains that it is unclear whether or not the newest Intel has an edge on the new AMD Ryzen CPUs of equal cores or threads. What is clear is that AMD slides in with a lot of value on a per-core, per-thread basis—as well as massive amounts of memory bandwidth and raw compute. No surprise, then, that AMD Ryzen TR 1950X and 1920X appear in the top ten. 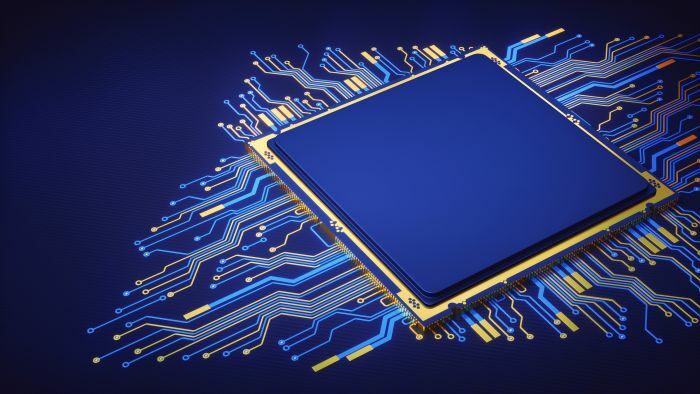 It bears mentioning that “classics”—proven processors on the market for three or more years—are well represented on the top CPU list. The AMD FX-8350 ranks #2 in sales overall to business customers, and a pair of Haswell-era Intel processors remain in the top ten in units sold. The 2017 chart toppers aren’t all big-time CPUs. Value processors are well-represented, suggesting that standard quad-core and lightweight dual-core builds remain fit for the workplace. As far as conventional office productivity goes, there’s really not much the latest Intel Celeron and Intel Pentium CPUs can’t do. Dual core capacity with a clock speed around 3.0 GHz for under $60? You can’t go wrong. Below you’ll find the best CPUs of 2017 ranked #1 – #10 as dictated by customer purchasing for the year. Find the best selling CPUs for work builds on NeweggBusiness, along with dozens of other quality processors to consider. AMD and Intel are duking it out once again at every price point for the best selling CPUs, which makes for a more exciting product selection for consumers.